Following her attendance at the Globes, Tracee Ellis Ross was on hand for the 2018 Marie Claire's Image Maker Awards last night(January 11th) at Delilah LA in West Hollywood, CA. On tune with the red carpet, she wore a VALENTINO RESORT 2018 red & pink stripe track suit which she accessorized with an EDIE PARKER clutch and black pointy toe pumps. 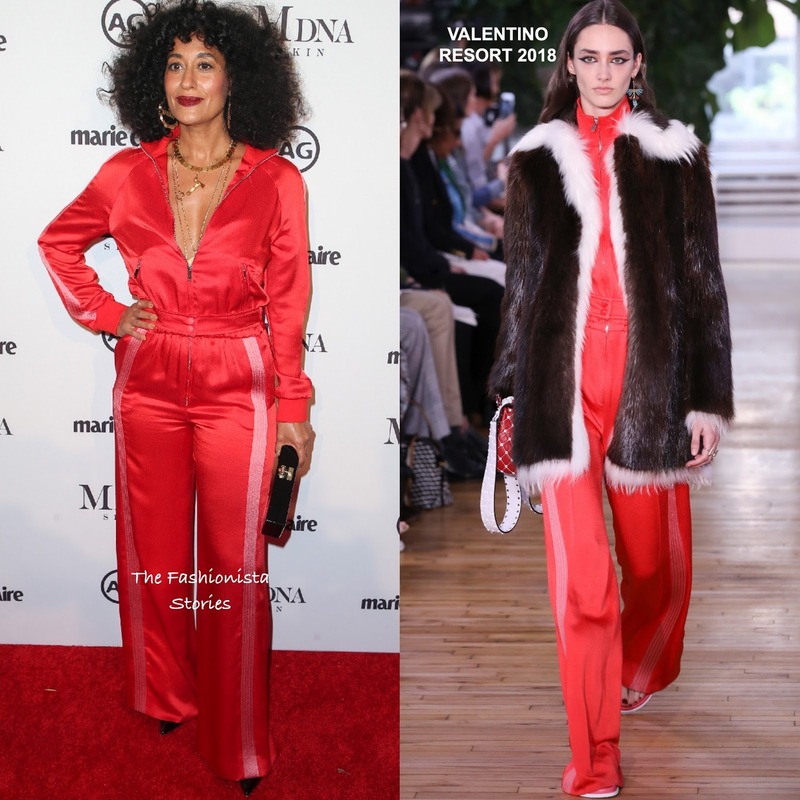 Tracee was twinning at the event with her stylist who wore the same exact look which you can see HERE. Me personally, I wouldn't have worn black pumps with this but I do like the idea of her sporty look. However I wish the pants were hemmed. Gold jewelry, red lips and her natural curls finished up her look.